is an artist and writer who lives in Austin, Texas. In 2000, Jared broke his neck when he dove into the Rio Grande River, becoming paralyzed from the neck down. 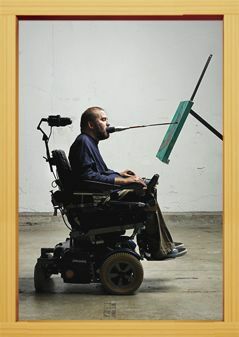 He did not let his paralysis stop him from building the life he always wanted. He married the love of his life, has had two beautiful boys, learned to paint with his mouth, and continues to write for GSD&M.